Last chance to change your mind: Click here to order WITH Simulator. 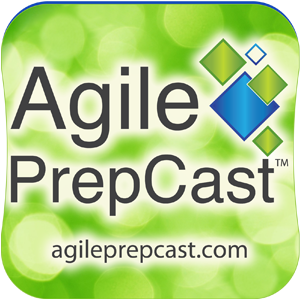 The Agile PrepCast Basic is a proven PMI-ACP Exam Prep Video Workshop. Watch lessons online in your browser or download them to your phone or tablet using a podcast app. It is a complete PMI-ACP exam study approach that increases your chance of passing the PMI-ACP Exam. Free Bonus 4: ONLY WITH PREPCAST ELITE! Free Bonus 5: ONLY WITH PREPCAST ELITE! As well as a Certificate for Contact Hours / PDUs! Updated to the most current PMI-ACP Exam specifications. If you have already passed your exam, then you can also use this course as part of your certification renewal. How to order with PayPal? Select "PayPal" as your order method in the form below. Affiliate Info To promote this listing and earn money as an affiliate, you must first register.